I was under the weather a couple of weeks ago, so I spent the weekend lying in bed taking turns doing the following three things: napping, working from my laptop, and, most importantly, falling in love with Riverdale, which I discovered while browsing Netflix. It was a super-productive weekend. Somehow the fact that the Archie comics from my childhood were being turned into a TV show escaped my notice. I have fond memories of sneaking down to the basement to curl up on my beanbag with a snack and my dad’s box of dusty old Archie comic books. Curious? Here are five reasons why YOU should watch Riverdale. 1. You don’t have to be a fan of the comics to appreciate the show. There are only a couple of things that Riverdale and the Archie comics have in common, namely the characters (and even then, their personalities were changed slightly; more on that in a moment), and Pop’s Chock’Lit Shoppe. And that’s pretty much it. If you’re looking for the lighthearted, goofy, flirty comics of your childhood, stop reading. You’ll be disappointed unless you can set that expectation aside. 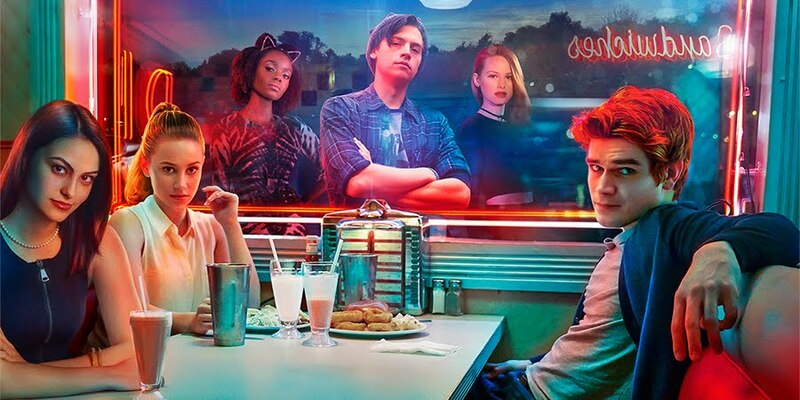 While Riverdale has lighthearted moments that take you back to the comics, overall it has a much darker tone. 2. This one’s for the mystery and suspense lovers. It’s a rich and complex show, and it has pretty much no plotholes--assuming the writers tie up a couple of loose threads in season two. They wrap up the main mystery and at the last second of the last episode, they introduce a new mystery to keep you wanting more. The characters are amazing. It’s been a while since I’ve read the comics, but based on what I remember, the characters in the show are very similar to the gang that I grew up loving. I’m just going to touch on the original gang here because I could quite honestly devote an entire post just to talking about the full cast. Archie was honestly a bit of a clueless douche, and I can’t remember if he was that way in the comics or not. He does have a little character arc in the beginning of the show, and after a while, you see that he really does care, he’s just bad at communicating it. And he’s human, just like all of us, with his imperfections. Veronica! Okay, so I definitely maybe have a slight crush on her. I never liked her in the comics and was prepared to hate her, especially given the way she acts in the first few minutes after we meet her, but then she turns into a badass cinnamon roll and I love it. She’s an incredible friend, recognizes when she messes up, and genuinely feels bad about it. Plus, she will absolutely slay anyone that tries to hurt her or her friends. Betty is the definition of “looks like a cinnamon roll but could actually kill you.” At first, she’s super timid and afraid to go after what she wants, especially because of her overprotective mother, but by the end of the show, she’s braver, recognizes her own strengths (and weaknesses), and has become a better person overall. And her friendship with Veronica is #goals. Jughead--another character that I wasn’t certain I’d like. He always struck me as obnoxious in the comics, but in the show, his character goes so much deeper than just being the school clown. He’s a loyal friend but has his limits and isn't afraid to call his friends out on their B.S. I was surprised when I realized he's the character I relate to the most. If Betty looks like a cinnamon roll but could actually kill you, Jughead looks like he could kill you but is actually a cinnamon roll. Be warned: he’s gonna break your heart over and over again. I was very curious to see how the showrunners would translate an old comic into a modern show. They did it by giving the show an incredible aesthetic, a perfect balance of retro and modern vibes. The kids can be in the super-retro Pop’s Chock’Lit Shoppe, with its milkshakes and neon lights, while using their laptops and calling people on their cell phones. A lot of the characters have older cars and a lot of the decor has '50s-'60s feel to it. It actually creates a very innocent air in stark contrast to the dark themes of the show. 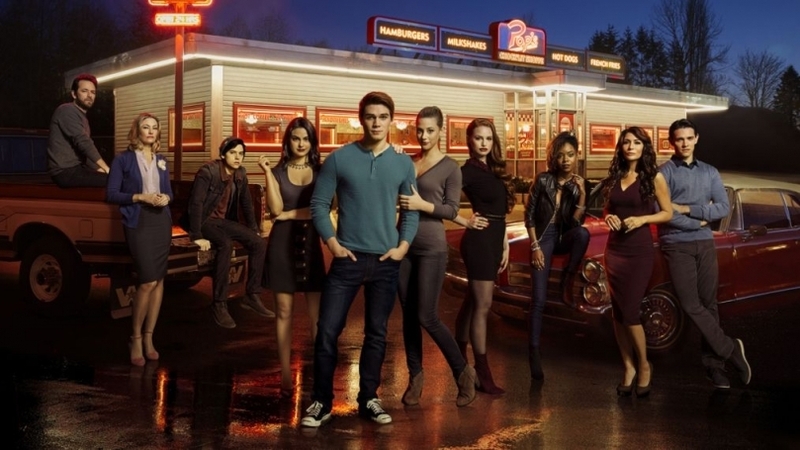 While there's always room for improvement, Riverdale did a fairly good job of making sure it had a well-rounded, diverse cast. All three members of Josie and the Pussycats are WOC and they're super inspiring too. Betty's friend Kevin is gay, has a boyfriend for most of the show, and while he's slightly stereotypical, the writers acknowledge these stereotypes. ("Is being the Gay Best Friend still a thing?") The actress who plays Veronica, Camila Mendes, is Latina. In the background at school and around town, you see a variety of people and types of people. It was honestly very refreshing and I loved it. Sounds like a show you want to watch? I'll be reviewing each of the 13 episodes over the next several months, so stay tuned! In the meanwhile, tell me: have you seen Riverdale? What did you think?